SQL – The target principal name is incorrect. Cannot generate SSPI context. 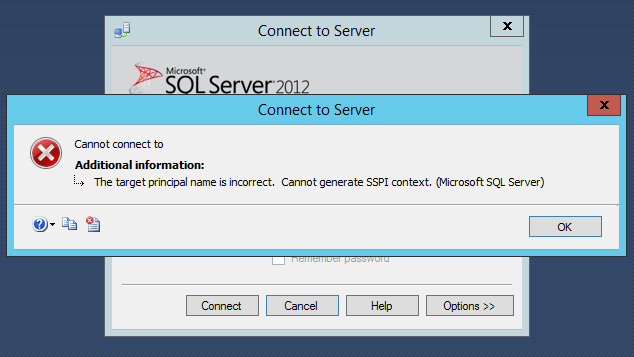 Recently in one of my Virtual Machine (VM)s I received the above error message when trying to connect to a SQL Server which I used to connect on other times. After having a look I found that the trust between my virtual machine and the domain was broken. You can find the status of the secure channel by using the PowerShell command Test-ComputerSecureChannel. This will also be evident when you try to login to the computer using a domain account. It will generate the following message. To fix this you can try using the below methods. If your current login has the required access in the domain you can use the below command. If you need to use another account than the current logged user then you need to use the –Credential parameter when calling the command. 2. Joining the domain again. This will also get fixed by removing the machine from the domain and adding it back. Before removing the computer from the domain make sure you have access to a local administrator account on the computer. Otherwise you will not have a way to login to the computer. To avoid the two restarts you can try using the following PowerShell commands. WHERE sysobjects.xtype = ‘U’ — Filtering all the User Tables. 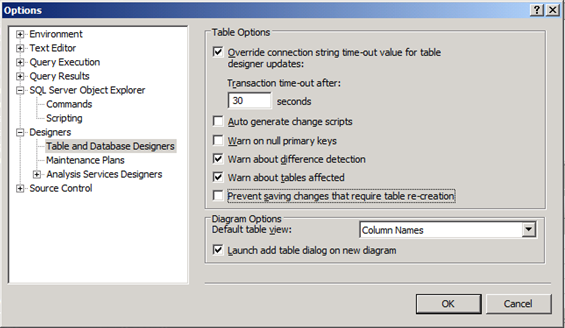 AND sysindexes.rows > 0 — Getting all the tables having at least one reoord. ORDER BY 2 DESC — Ordering by the number of records in table. 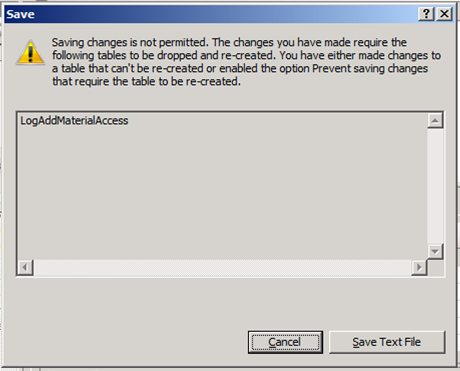 sp_change_users_login ‘update_one’, ‘USER’, ‘LOGIN’ – Links the given user in the current database to the specified login. sp_change_users_login ‘auto_fix’, ‘USER’ – Links the given user in the current database to the login having the same name in the current server.